The Eight Benefits of Diffusing Essential Oils and Creative Blend Recipes for Your Own Diffuser Haven! What is Essential Oils Diffusing? Before I start discussing the benefits of diffusing, defining this term may be helpful for those who are new to the world of essential oils. Diffusing is a means of dispersing essential oils into the environment. It is an incredibly effective way for the whole household to enjoy all the health promoting properties of aromatherapy through inhalation. In fact, for infants it is one of the safest methods. Our animals can gain from it as well! I’ve written in various blogs about this application of essential oils. Below is a summary of all the benefits and I’ve also provided some additional tools to help you create the perfect diffuser haven for your home. First of all, just the aroma of essential oils can produce powerful physiological, memory, and mood-enhancing responses which were discussed here. Beyond their pleasant odors, essential oils are natural. They won’t cause the damage to the body that “air fresheners” can. It’s been found that toxicants can enter our system through our noses, causing potential neurological damage! Let’s use something that promotes brain health instead! You get the benefits of topical and internal applications of essential oils, without having to take off your clothes or swallow pills. Although this has its caveat. Clinically, I have found alternating all three methods the most useful for myself and my clients. Long-term, chronic stress is damaging to our whole body, if left un-checked. 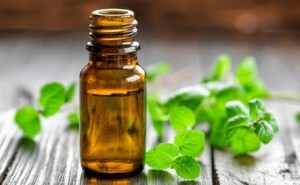 Essential oils have been shown to mitigate stress. A recent study demonstrated this and other benefits of diffusion in the workplace. The researchers analyzed how aromatherapy would affect work performance and stress in 42 administrative university workers. It’s been found that pine and conifer trees emit phytoncides (volatile compounds) into the air. These are the constituents found in essential oils that promote the stress-releiving effects of a walk outdoors, or “forest bathing.” These compounds were also found to have immune promoting properties, microbe inhibiting effects, and more. You can read all about phytoncides here. This diffusion guide discusses using essential oils based on the ion composition in the air. I haven’t found studies on this, but it makes sense since various essential oils have different effects on the nervous system. For example, it was found in one study that black pepper, fennel, and grapefruit were stimulating and rose and patchouli was calming.